MediSense Glucose Control Solutions provide a quick, easy way to ensure accurate blood glucose testing. 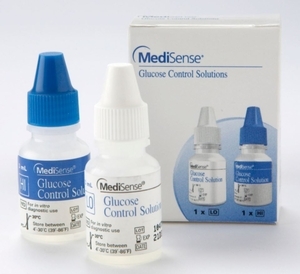 It may be used for glucose or ketone control solution testing. Each package contains one high solution and one low solution. It can be used with Precision Xtra and Optium systems.